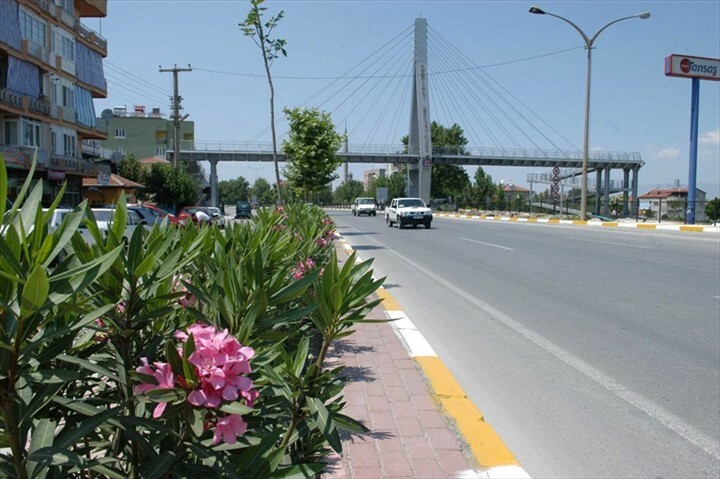 İncilipınar bridge is situated on Denizli-Antalya Highway. 850 thousand TL was the total cost of construction of the bridge. İncilipınar bridge is situated on Denizli-Antalya Highway. 850 thousand TL was the total cost of construction of the bridge. A total of 130 tons steel was used fort he construction of the bridge. Width of the treadmill is 3 meters and 4 ramps (each of 18.5 meters) were used. The lenth between ground and rope code is 24 meters. The height of the bridge is 6 meters and length is 60 meters. 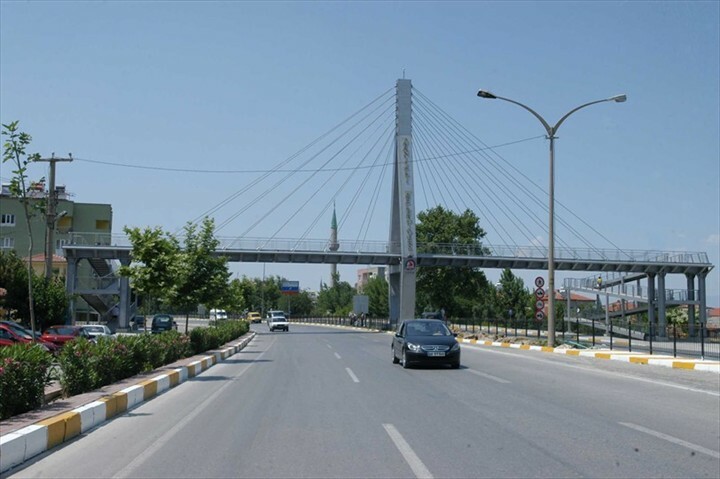 İncilipınar Pedestrian Over Crossing Bridge ensures safety of pedestrians in Cumhuriyet and Yenimahalle districts.